DNA is the abbreviation for DeoxyriboNucleic Acid. It's the genetic material of all living organisms. 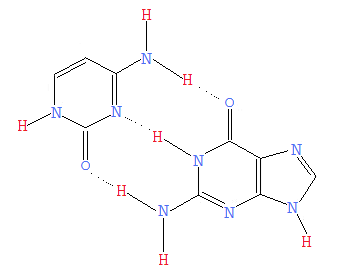 DNA has four different type bases, A (Adenine), T (Thymine), C (Cytosine) and G (Guanine). 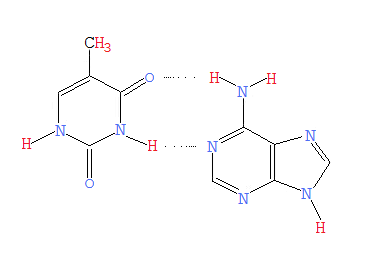 Chemical bonds can be formd between the bases A + T and C + G as base pairs. A sequence of based paired DNA consists a double helix structure as the chromosome. Chromosome is located in the nucleus in eukaryotes like human. The chromosome as a DNA sequence encodes the genetic information, including genes, noncoding regulation regions etc. Other important elements including protein, RNA will be transcribed based on these genetic informations. The chromosome DNA of an organism is called its genome. The genome of a organism is very stable, and is almost all the same across all the cells. Although some times the DNA sequence of the genome can be changed, including mutation, deletion or insertion a small sequence, the frequency is rare. The change of the genomic DNA will cause serious diseases, such as genetic diseases and cancer. The genomic DNA will be passed on to the offsprings with almost no change. During cell division, the genomic DNA will replicated itself, and make two exact copies into the two divided cells.